On the culmination of the last phase of ULB polls, Joint Resistance Leadership comprising Syed Ali Geelani, Mirwaiz Umar Farooq, and Mohammad Yasin Malik said that the rejection of ULB polls by a majority of the people in Kashmir is a clear indication of Kashmiris alienation from India. 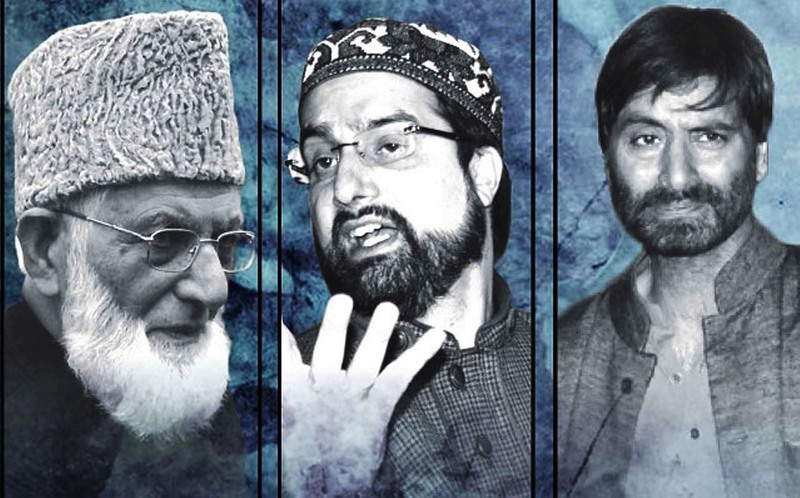 JRL in a statement said that leadership deeply appreciates and commends people for the political maturity and commitment to the cause of self-determination shown by them in a comprehensive boycott of this sham called “election”. JRL said that this “coercive and harassing exercise of so-called elections,” where candidates, polling areas and even polling stations were undisclosed by the ruling authorities, where scores of secret candidates were chosen “unopposed” was mainly carried out at this time, to help the BJP in its electoral prospects in India next year and to thrust the party on people of the Kashmir . JRL said that by rejecting the people of Kashmir have conveyed that since 1947 being under control, elections have made no difference to them as directly or indirectly through pro-India regional parties, it is a government of India which rules them and whose writ runs here. In reality, it is Indian military might that rules here whose consequence is severe repression and coercion in people. In such situations, democratic processes lose all credibility and carry no meaning and are reduced to a farce. JRL reiterated that J&K is a dispute and its people are asking for resolution of the dispute. They are not interested in selection or election and no election can ever be a substitute for that resolution or a way to it. GOI should accept this fact and work towards the resolution of the conflict as per the democratic principle of people’s aspirations and will.